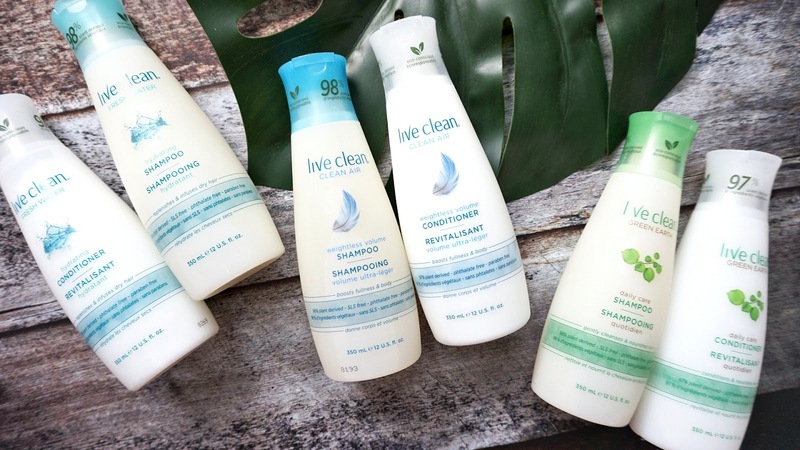 One of my favorite skincare brands, that is right here made in Canada, is Flawless by Friday. 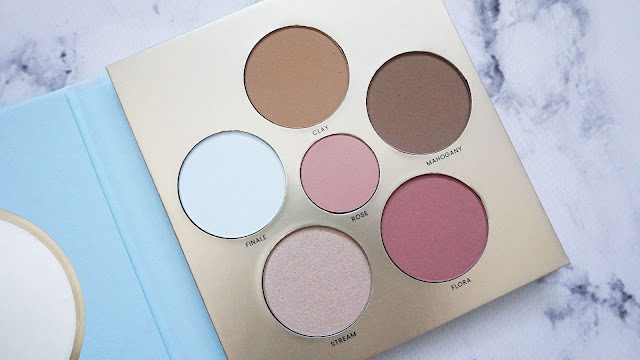 I have written about them a few times in the past, so if you're interested in learning about their products then click here. 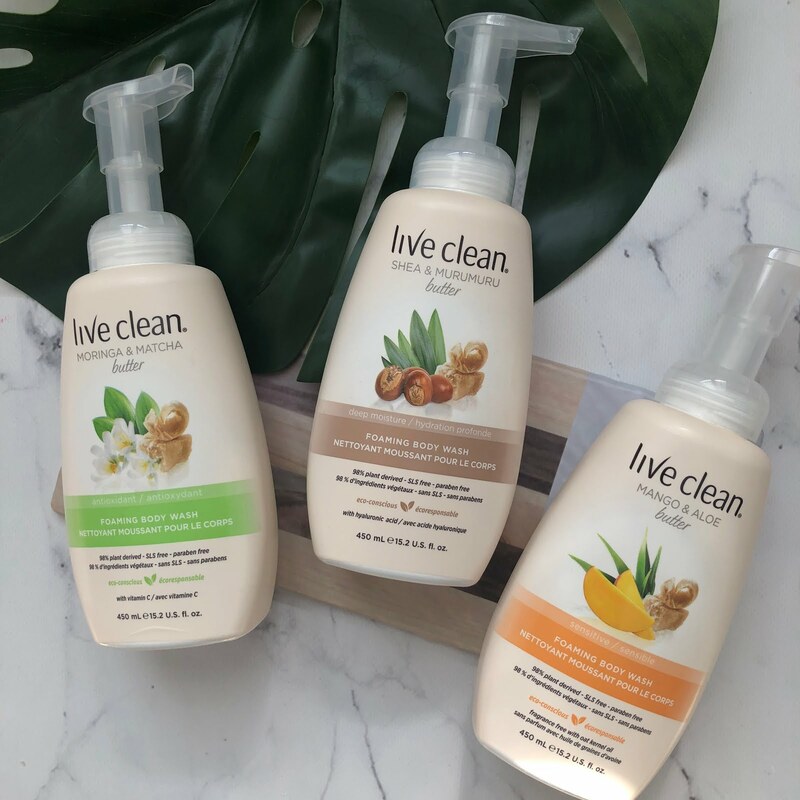 I have been using their skincare products for the last two years, so when I learnt that they had recently launched some MAKEUP items, I had to get my hands on them ASAP and review it. Their makeup collection comes in four different collections: Natural Knockout, Modern Marilyn, Smoke Show, and Glow Getter. Each collection comes with an eyeshadow palette (linked previously), a face palette and a corresponding lip product (gloss and liquid lip). They also came out with false lashes and brushes - I really want to try the brushes, they look so fluffy and soft! 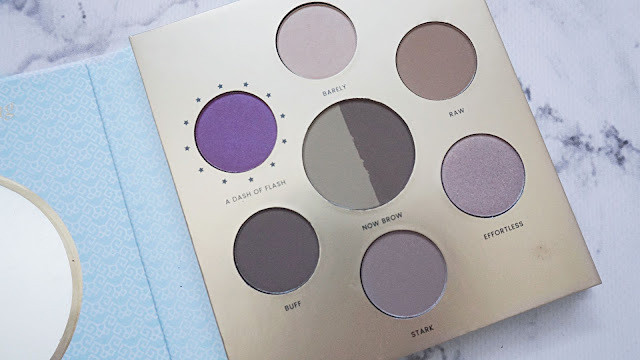 I was graciously sent the Natural Knockout collection which I was super excited about since those tones just really shouted to me - I am a lover of purple and neutral shadows, so this was perfect. Those who know me, will know that my go-to is a natural look, I do that everyday and it's what I am most comfortable about. 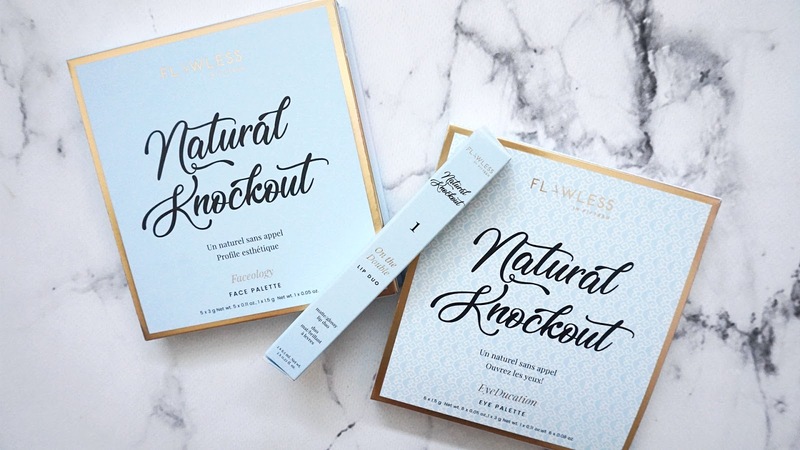 First, we have the Natural Knockout Faceology swatched below. 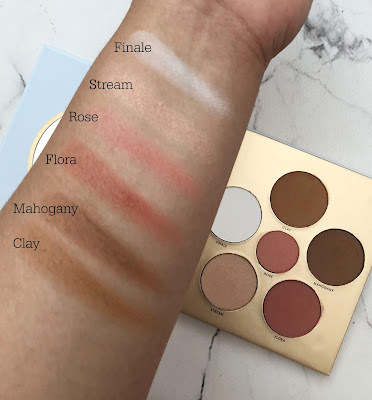 It retails for $38 Canadian and contains a setting powder, two bronzers (one that can be used as a contour ~ Mohogany), two blushes and a highlighter. These are buttery and packs pigment! Stream is the most gorgeous highlight that gave me a beautiful glow that is buildable from sheer to in your face! The bronzer, Clay, is a true bronzer that makes you look sunkissed and has no orange tones in it whatsoever. It blends effortlessly and does not make . you look muddy. I really liked Finale as a setting powder for under the eyes, it brightened it and I used it for my t-zone area as well without translating white. Below, we have the Natural Knockout EyeDucation Palette ($38 cad) - which contains 6 shadows (2 mattes, 3 satins and one microglitter) and a brow powder duo. As you can see from the swatches below, the mattes are beautifully creamy as is the microglitter (Effortless). 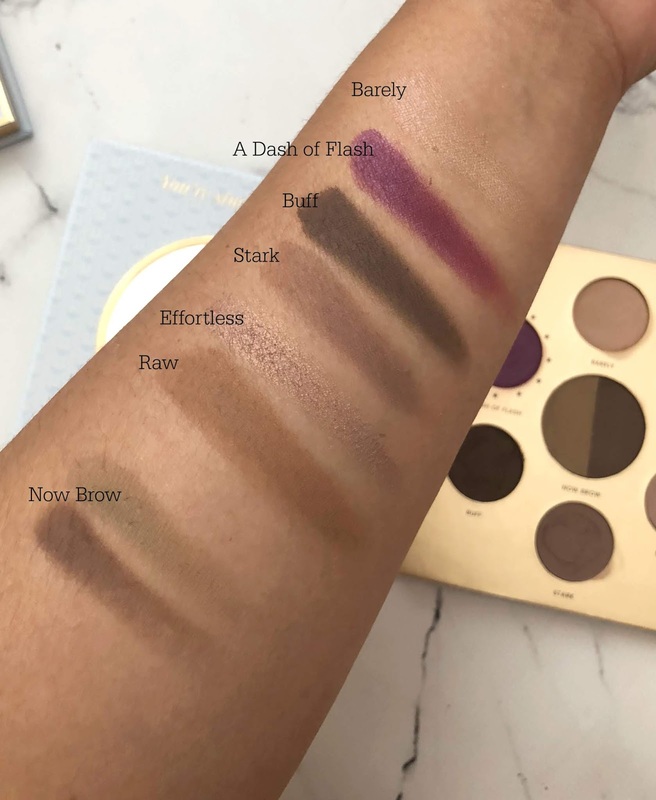 The purple shade, A Dash of Flash is a vibrant purple and the shade Barely is used more like a brow highlight as it is a sheer champagne beige satin wash. One thing to note is that the mattes do have quite the amount of kickback on the pan, however there is no fall-out when applied to the lid. I was able to get a full day's wear of A Dash of Flash (the purple satin) with no primer and there was no creasing and the shade lasted all day, which is thoroughly impressive. 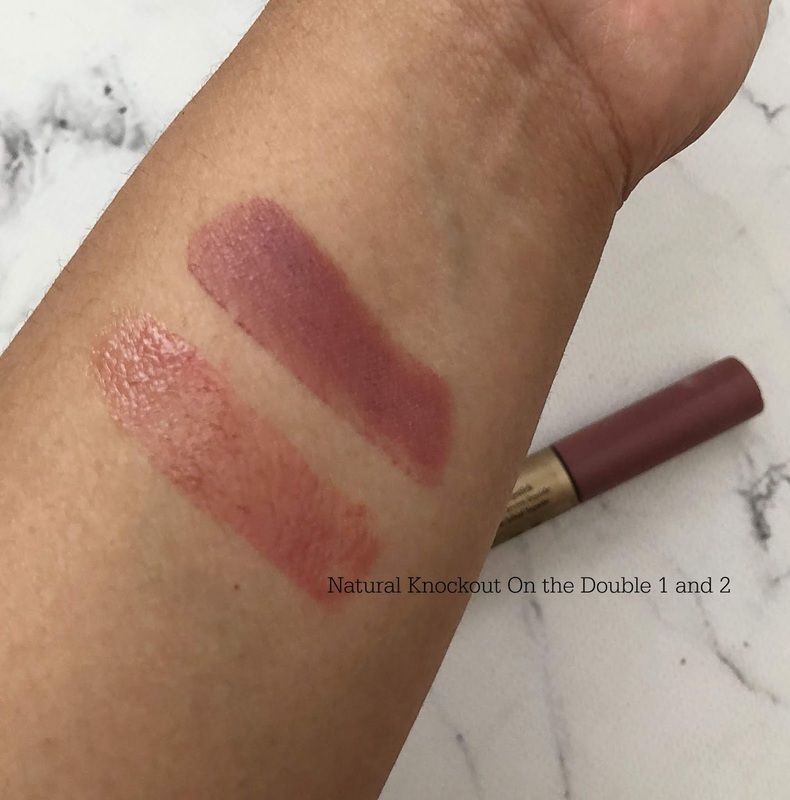 The lip duo ($18 cad) is created to match the two palettes - this was a great "my lips but better" shade, and the liquid lip is like a whipped formula that did not feel drying nor did it crack on the lips. I really loved this formulation and would love it if they made it in individual liquid lips and in more shades. The lipgloss portion feels cushiony on the lips and very comfortable as well, not too sticky at all and did not bleed. 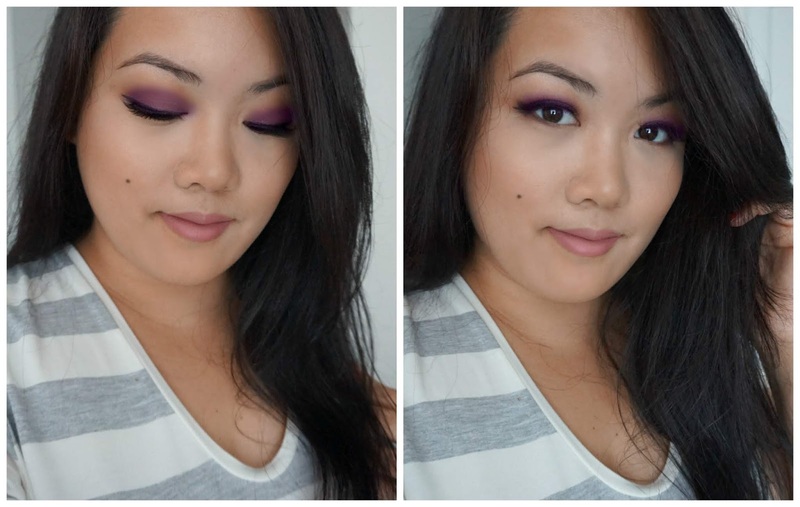 Below, I created tow looks for you - one more of a daytime natural look with the purple on the outer corner, this is more of my everyday look and the second look is a purple smokey eye,more of what I would wear at night. Everything on my face is from Flawless by Friday, minus the foundation, concealer, primer, liquid liner and lashes. Loooooove the purple on you!! From first glance, I thought it was Too Faced packaging! 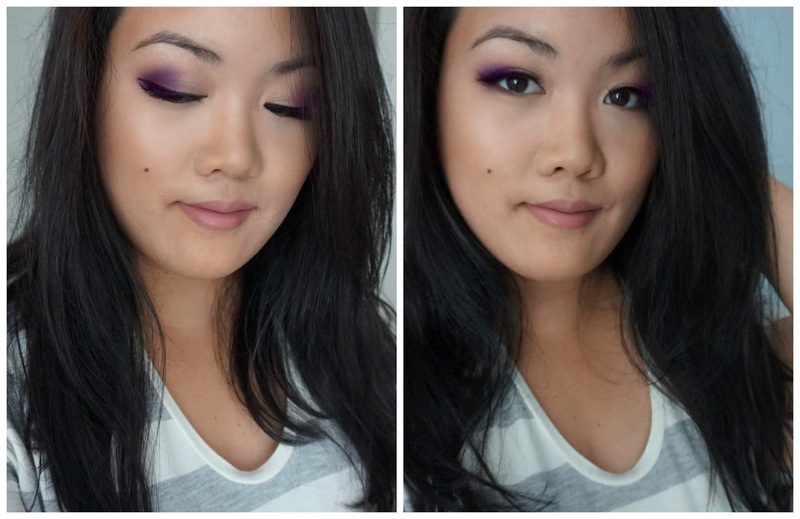 You killed it with the purple smoky eye, I need to practice that look!